Coral reef in Puerto Rico. Photo courtesy of NOAA CCMA. Coral reefs are among the most diverse, biologically complex, and valuable ecosystems on Earth. Often called rainforests of the sea, coral reefs provide economic, cultural, and ecological services to millions of people as valuable areas of natural beauty, cultural significance, sources of food, jobs and revenues, recreation and tourism, and shoreline protection. Map showing the locations of major stony coral reefs of the world. Map courtesy of NOAA. Corals are found worldwide in shallow and deep depths typically in tropical and subtropical waters between 300 north and 300 south latitudes. Coral reefs are found state and territorial waters of the AIC jurisdictions. A 2005 study estimated the area in the U.S. where shallow-water (<60 ft.) coral reef ecosystems could potentially be found, as 36,813 square kilometers–larger than the State of Maryland (Rohmann et al., 2005)! Close-up of coral polyps. Courtesy of NOAA. Absolutely. Corals are animals, related to anemones and jellyfish. Coral reefs are typically made of stony corals; however there are other types of coral, such as deep-sea coral and soft coral. 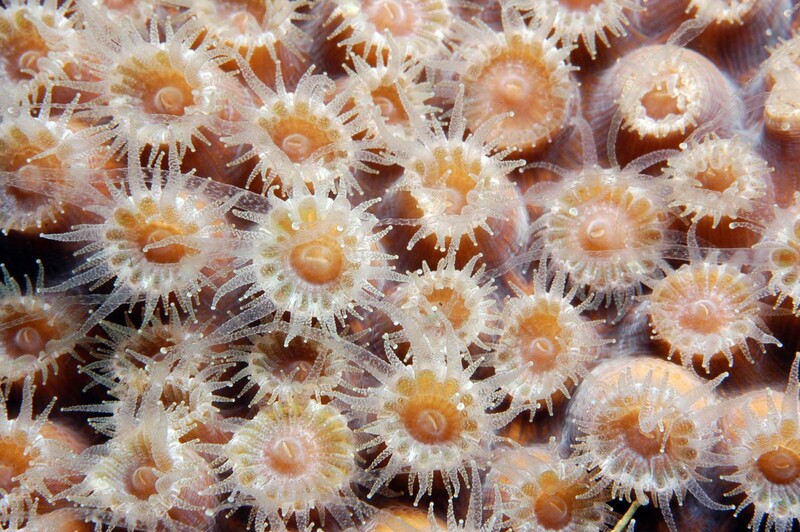 Reef-building stony corals contain tiny coral polyps. Some stony corals also contain cells of symbiotic algae (called zooxanthellae) that convert sunlight and nutrients into fuel for coral growth–essentially, solar-powered coral! Coral reef ecosystem in Palau. Courtesy of D. Burdick. Coral reef ecosystems are recognized for their range of benefits, such as supporting economies by nurturing fisheries, providing for recreational and tourism activities, providing substances useful for medical purposes, protecting against coastal erosion, and providing a diversity of cultural and aesthetic values to many people and communities. Coral reef habitats have traditionally played a central role among many island peoples in the U.S. where community-based conservation, subsistence fisheries, and protected areas have been successfully managed for generations. Bleached coral in Guam. Courtesy of D. Burdick. The Status of Coral Reefs of the World:2008 (Wilkinson, 2008) noted that 19% of the world’s reefs are effectively lost, 15% are seriously threatened with loss in the next 10-20 years, and 20% are under threat of loss in the next 20-40 years. The world’s coral reefs are threatened by over-exploitation, pollution, habitat destruction, invasive species, disease, bleaching, and global climate change. 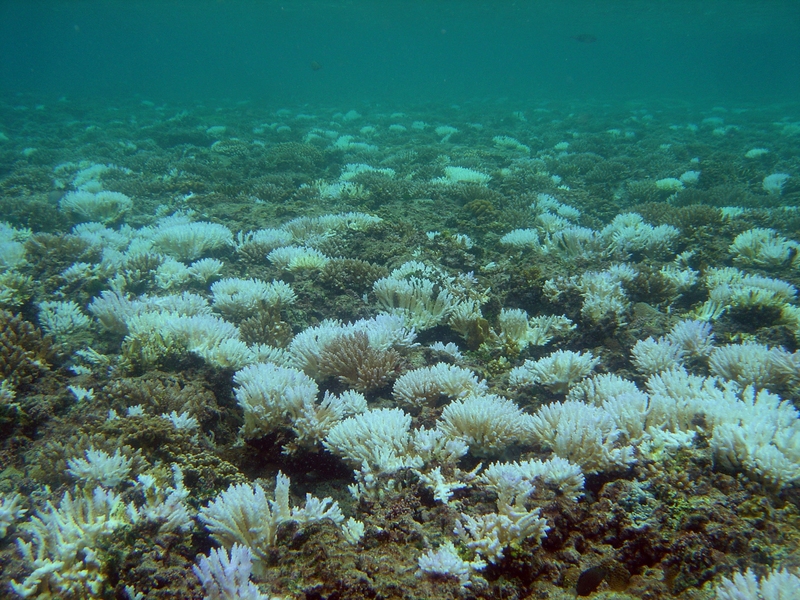 Warming ocean temperatures have caused for mass coral bleaching events in the past decade and this warming may lead to a rapid increase in the frequency and severity of coral bleaching in coming decades (Donner et al. 2005). 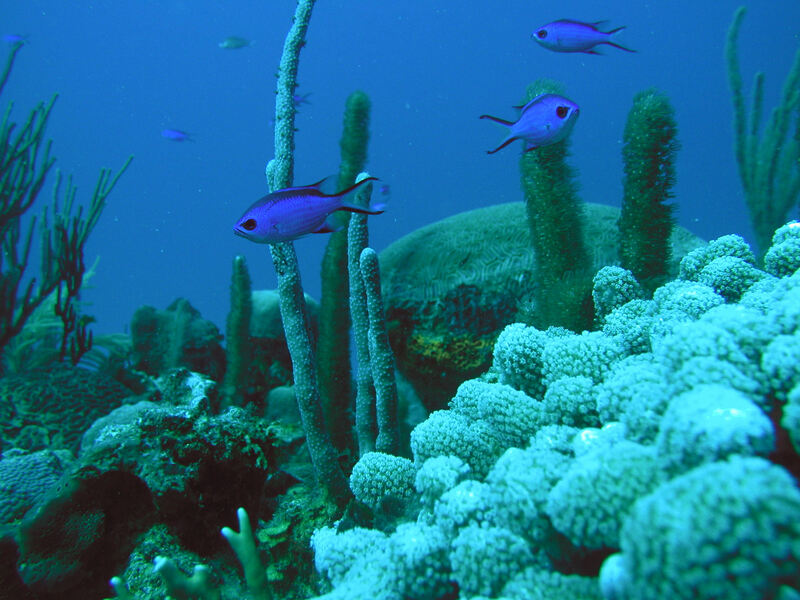 A growing number of anthropogenic impacts, including shoreline development, polluted runoff from agricultural and land-use practices, over-fishing and over-exploitation, destructive fishing practices, dredging and shoreline modification, vessel groundings and anchoring, disease outbreaks, marine debris, and global climate change threaten coral reefs. These threats have been compounded by a lack of awareness and appreciation for coral reefs at local, national, and global levels. Students take measurements on a coral reef in CNMI. Courtesy of CNMI DEQ. 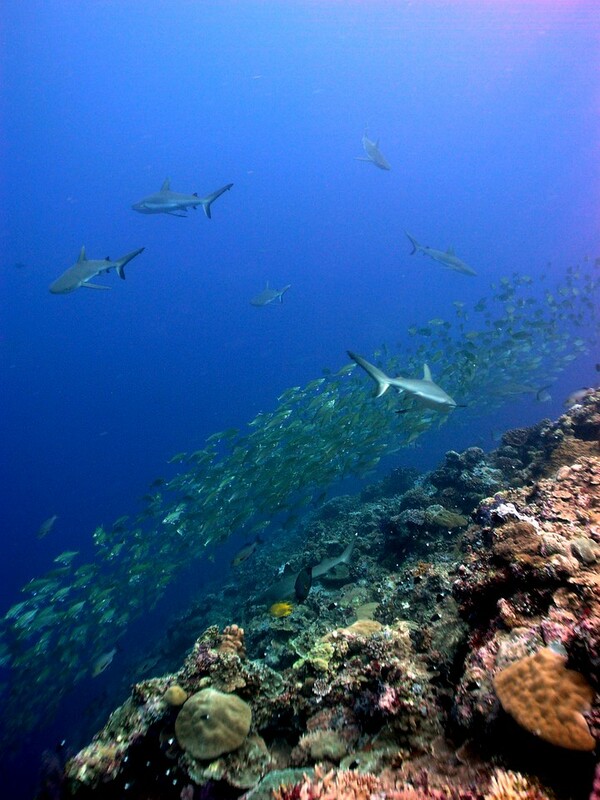 It is important that informed and effective management of coral reefs, fisheries, and land use protect these important resources so that they can be resilient and sustainable. The AIC is committed to protecting and conserving the future health of these incredible ecosystems. Donner, S., W. Skirving, C. Little, M. Oppenheimer, and O. Hoegh-Guldberg. 2005. Global assessment of coral bleaching and required rates of adaptation under climate change. Global Change Biology. 11: 2251-2265. Rohmann, S., J. Hayes, R. Newhall, M. Monaco, and R. Grigg. 2005. The area of potential shallow-water tropical and subtropical coral ecosystems in the United States. Coral Reefs. 24: 370–383. Wilkinson, C. 2008. Status of the Coral Reefs of the World: 2008. Townsville, Australia. Global Coral Reef Monitoring Network and Reef and Rainforest Research Centre.